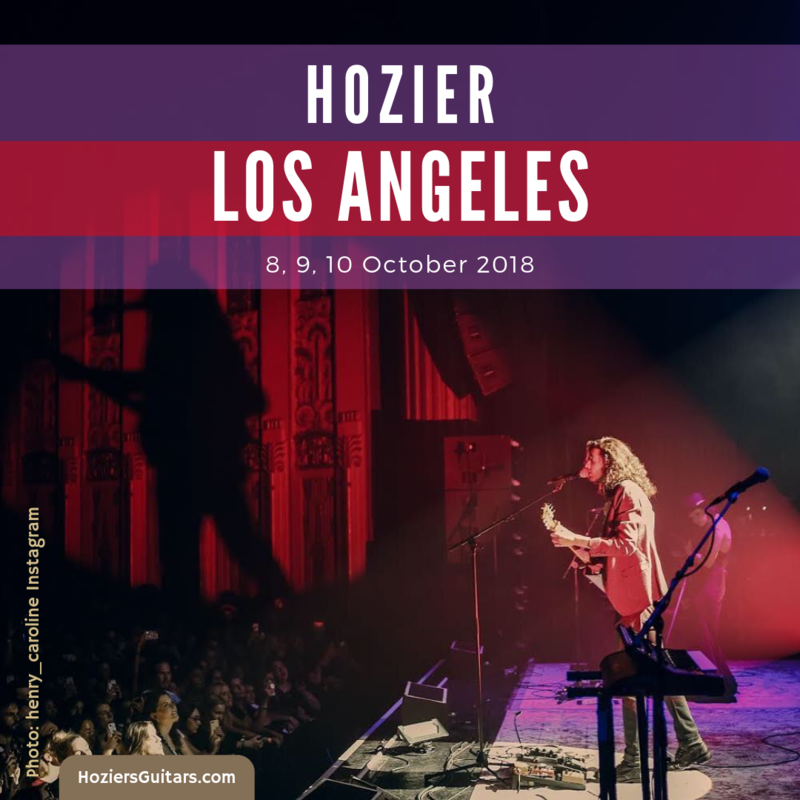 Hozier played 3 nights at The Wiltern in Los Angeles, plus took on a heavy load of radio and television appearances, including The Ellen Show. Click the venue names and text links throughout this post to reveal more photos and videos. @hozier melting hearts @thewiltern #losangeles Thank you, Andrew! Hozier spoke with Kyle Meredith from Consequence of Sound in a phone interview. Hozier visited KCRW for a performance and interview session. For full coverage, check out our post, Hozier US Radio 2018 Performances Then and Now. Fine, I’ll go to church this one time. Mixing Hozier on MBE today! Additional photos from Music Connection. Hozier and Mavis Staples performed Nina Cried Power on Ellen. For full coverage, check out our post, Hozier U.S. TV 2018 – Ellen & Jimmy: Then and Now. Additional photos from Sound Check 411 and U2soul. Hozier has grown so much as a performer since he was last on tour. The shadow-play cast against The Wiltern wall was a show in itself. There are other clips from this show from the same YouTube account. This is a standout Hozier interview with Sky Daniels at 88.5FM. We have two bows this time because, as great as this close-up from 8 October is, it leaves out some important people. Here’s the whole gang from their last night at The Wiltern with the sneaky photographer Jo Archbold capturing the bow from behind. Featured image: Photo: @henry_caroline on Instagram. Graphic: Hozier’s Guitars. Tagged 88.5, california, consequence of sound, cos, Ellen, iheart radio, jo arch bold, KCRW, kyle meredith, la, Los Angeles, sky daniels, the wiltern. Bookmark the permalink.